Get the durability, versatility and reliability you need from a fender in the Taylor Made Big B inflatable vinyl fender in the 8-inch-by-20-inch size. With the Taylor Made Big B fender, you can also count on good looks to go along with reliable performance and a wide range of colors. The Big B’s versatility comes from its center rope tube that lets you pass the line through and use the fender in either a vertical or horizontal position. This gives you more flexibility in protecting your boat from pilings or in unusual and awkward docking situations. These fenders are made of high-quality marine-grade vinyl and are guaranteed for the life of your boat against splitting or bursting. Just inflate to 2 PSI of pressure for proper cushioning and protection of your boat. 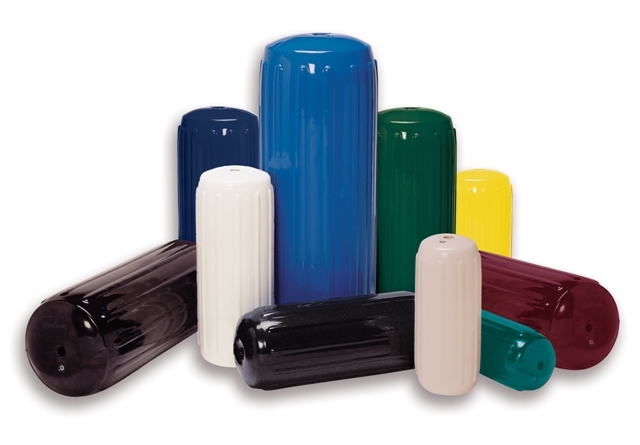 Boatersland has the Taylor Made Big B fenders in a variety of colors so you can match or complement your boat, and the Big B is also available in other sizes.